Genuine OEM Savin Toner Cartridge, Black, 3,000 page yield. Savin part number: Savin 407321. Laser Toner Cartridge compatible with Savin SP 3600, SP 3610, SP 4510. Genuine OEM Savin Toner Cartridge, Black, Extra High Capacity 12,000 page yield. Savin part number: Savin 407316. 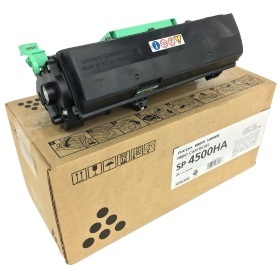 Laser Toner Cartridge compatible with Savin SP 4510. Genuine OEM Savin Toner Cartridge, Black, High Capacity 6,000 page yield. Savin part number: Savin 407319. Laser Toner Cartridge compatible with Savin SP 3600, SP 3610, SP 4510. Genuine OEM Savin Photoconductor Unit, 20,000 page yield. Savin part number: Savin 407324. Photoconductor Unit compatible with Savin SP 3600, SP 3610, SP 4510.